A fireplace in any home is a fabulous way to give the room character and unique charm. A merry fire crackling away and radiating some much needed warmth through the room and its people is a nice way to get cozy. The ambiance of a room is certainly enhanced greatly by a fireplace. Traditionally, these fireplaces were made of stones and burnt firewood or logs to get the people nice and warm. However, they were also greatly cumbersome to maintain and clean. 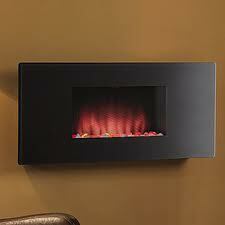 The modern world has brought in the very viable alternative of electric fireplaces. It is a fireplace electric heater that looks like a normal fireplace. Complete with crackling sounds and ember-like looks, it is a great mimic of conventional fireplaces. Instead of burning wood, logs, natural gas or even coal, an electric fireplace runs on power and can be simply plugged into the wall or a space designated as a fireplace. One can either run it as a heater, which can emit hot air, or on a flame mode, which will look like a pile of burning embers. Electric fireplaces have been in use in some form or the other since the early 1980s. With great advancements in technology and design, these fireplaces have evolved to things of not just great value, but of great aesthetic appeal as well. There are two main components to such a fireplace – the heat it generates and the visual appearance of a real fire. The heating function of the fireplace is generally done by electricity passing through a couple or so of metal coils. There may also be a blower or a fan attached which then pushes out the heat generated by these heated coils into the open room. The coils get heated rather effectively and the blower pushes out all the heat generated by these coils. The sound and light show, as far as the electric heater mimicking the fire, is produced by the use of light bulbs and refracted lights. The refraction takes places through a random series of movements through a three-dimensional design. So when one looks at the fireplace, it seems very real indeed. You can choose between a wall mounted electric fireplace or a traditional fireplaces that sit on the floors of a room. You can also keep in mind the rest of the décor of the room, so that your electric fireplace matches the ambiance of the space. The size of the fireplace will also depend on the space and ratio of the room. Cost efficiency. 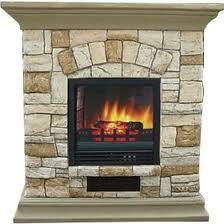 Electric fireplaces may be more cost effective than wood and gas fireplaces since they are pretty energy efficient. Portability. Depending on the model of the fireplace, you can get yourself a portable model that can brighten up any room that it is placed in. Ease of installation. This type of a fireplace is truly a “plug and play” model. It simply has to be unpacked and plugged in and you have a vibrant fireplace going. Flexibility. Most electric fireplaces have the option of running on flame mode alone which means that if the weather is warm enough and you simply crave the good cheer of a crackling fire then you can switch the fireplace to the ‘fire only’ mode and enjoy the crackle of a good fire without the extra heat. Emissions free. An electric fireplace does not give out any carbon emissions and, therefore, is good not only for the residents of a home, but also for the environment at large.